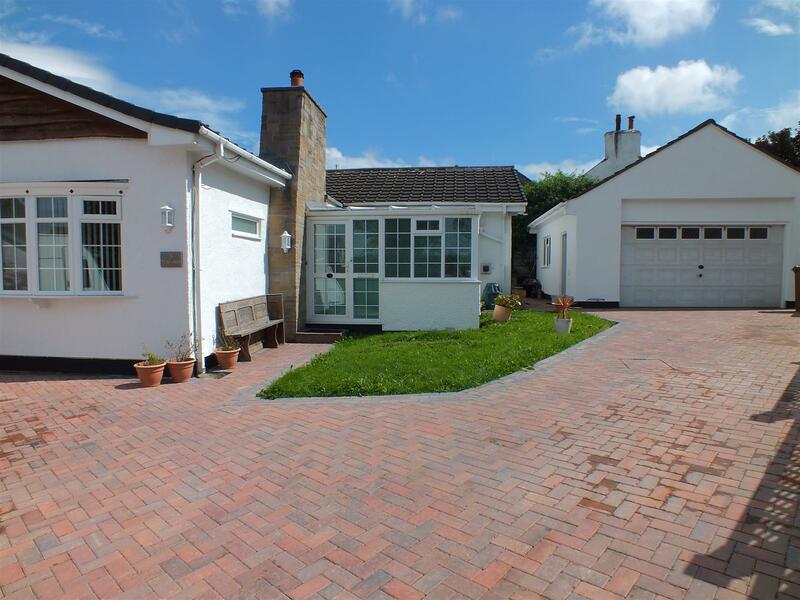 Modern Detached Bungalow in a Quiet Cul De Sac Location. Easy Walking Distance to all Village Amenities and Pleasant Walks. Offered in Superb Condition with Well Planned Living Space. Shops, Butchers, Post Office, Tearooms, Pub & School Close By. Spacious Conservatory/ Entrance, Lounge & Dining Room. Stylish & Well Planned Modern Kitchen with Appliances. 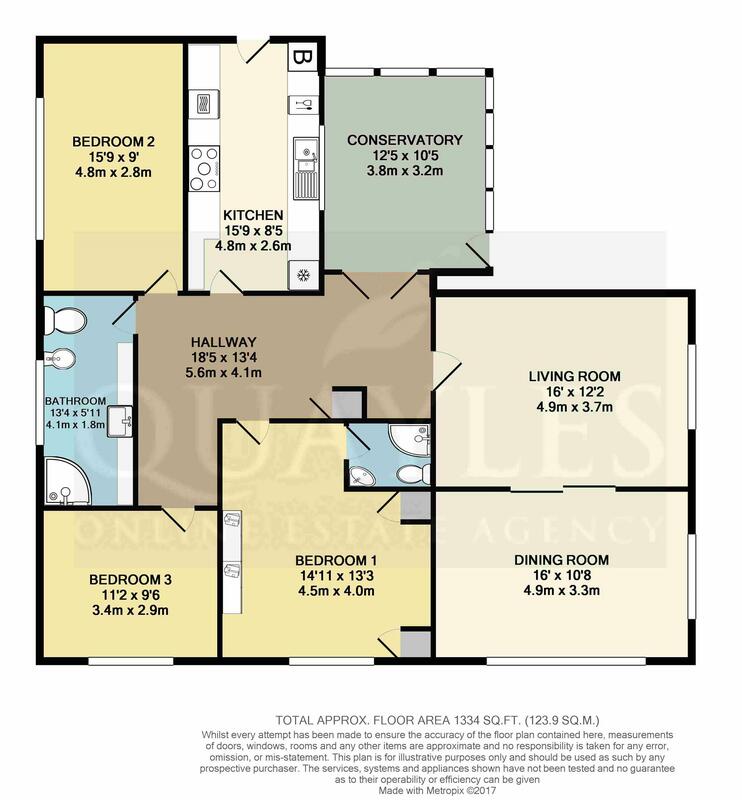 3 Double Bedrooms (1 En Suite) & Shower Room (Former Bathroom). Low Maintenance Rear Patio with Large Wooden Store. 20ft x 20ft Garage with an Attached Wooden Workshop. Block Paved Frontage Providing an Excellent Degree of Parking. From Ballacraine head North along the TT course and into Kirk Michael, passing the Primary School and Mitre Pub on the right. Continue through the village, past the village shop, tearooms, Post Office, chemist and butchers. Take the next turning on the left into Christian Avenue and follow the road around to the top of the cul de sac where the property will be found on the left. A spacious secondary lounge which doubles as the main entrance. Of uPVC construction with an door and side panel. High level TV point. Half glazed double doors to the inner hall. Space for unit / dresser step to the upper hall. Door to the lounge. Coving and LED lighting. A large room with a uPVC bow window. Glass fronted stove on a granite hearth with a wooden surround. Wall lights. Coved ceiling. Sliding doors to the dining room. A dual aspect room with uPVC bow and side windows. Coved ceiling. Wall mounting for TV. Access via a pull down ladder to a large attic ideal for storage. Coved ceiling with LED lighting. Smoke detector. Recessed cloaks cupboard. Fully fitted with a fabulous range of beech effect wall and drawer line base units together with laminate work surfaces incorporating a 1 1/2 bowl sink with a glass topped drainer and dish rack. Integral fridge, freezer, dish washer. Built in oven and combi microwave. Inset 5 ring induction hob with a glass and stainless steel hood above. Tiled background. Counter lighting. Plinth heater. 'Worcester' oil fired central heating boiler. Half glazed uPVC door to the side of the property. A uPVC window looks into the conservatory. Tiled floor. A spacious double room with a uPVC window to the rear. Fitted with an excellent range of furniture including wardrobes and a dressing table. Coved ceiling. Door to the en suite shower room. Fully tiled and fitted with a stylish white suite comprising push button flush WC, Corner unit with a top mounted basin and a quadrant enclosure with a fully plumbed shower. Chrome heated ladder towel warmer. Tiled floor. A further double room with a uPVC window to the rear. Coved ceiling. A fabulous room fitted with a luxury suite of vanity units, with an inset basin, wall mounted units and illuminated glass shelves. Shaver point. Large enclosure with body jets, radio, steam function, rain shower and spray together with a handy seat. Bidet and push button flush WC. Fully tiled walls and floor (tiling extends beneath the shower to allow a bath to be fitted instead if required). Rear uPVC window. Chrome heated towel warmer. Coved ceiling. Inset downlights and 'Magic Eye' lighting. A superb double room with a uPVC window to the rear. Coved ceiling. An extensive block paved drive provides excellent parking space for several vehicles - ideal for a camper too! PVC boundary fence with lighting and a small lawned area. All fascias and soffits have been clad with low maintenance PVC covering. Paved for ease of maintenance with raised beds. Coal bunker. Oil storage tank. large timber store. A double garage with three timber framed windows and a door to the side. Up and over roller door. Access to a loft space. Space for a washer and dryer. Power points. Fluorescent light. A useful area made of timber construction. Mains water, drainage and electricity. Oil fired central heating & uPVC double glazing.